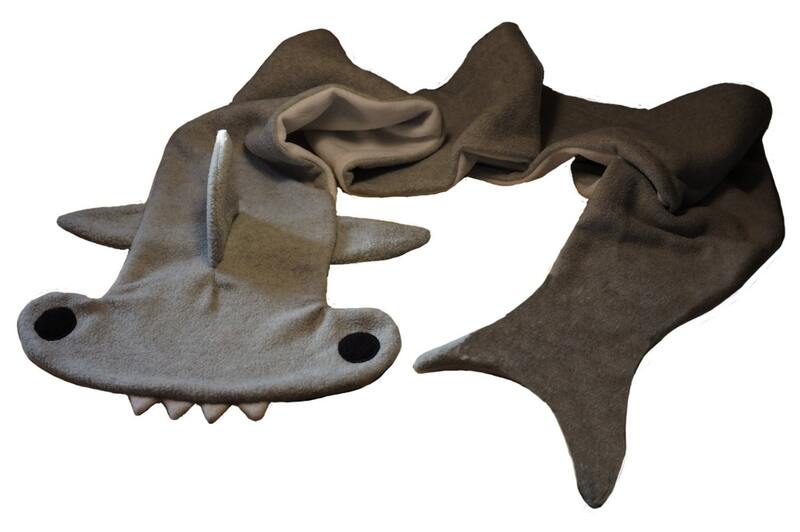 Stay warm even fathoms deep below the water in this hammerhead shark scarf. (Well, not really, but you can pretend and it definitely will keep you warm on dry land for sure.) Eight feet of double thickness fleece will keep you quite cozy and the scarf is machine wash and dryable to keep it looking great through many wearings. Who knew that fleece could be this raffishly dangerous?